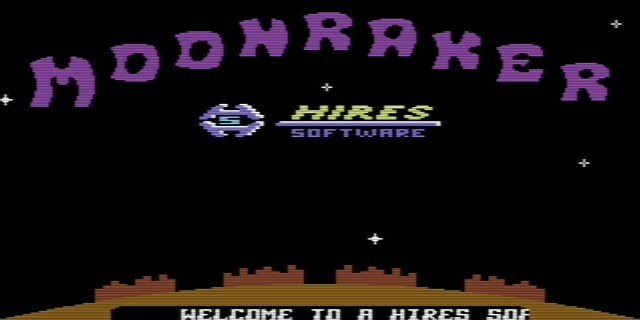 Onslaught are on fire today as they've also released Hires Software's C64 game 'Moonraker', which was an obscure shooter first appearing in a 1980's Norwegian magazine called Mikrodata. 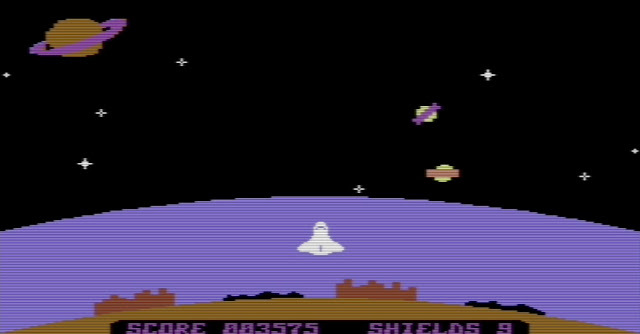 In this game which is a little bit like space invaders, you must defend your cities using a Space Shuttle from the alien threat, which is not only being bombarded by sphere like objects but also from the UFO which zips from one side to the other. In my short play through of this game I can safely say I think you'll enjoy it. Although it does come with a cheat trainer for cheat lives and protected cities by Onslaught, I actually preferred not using them and just blasting everything that came across the Earth's orbit. It's pretty simple to master with left/right and shooting movement, but as is the case with nearly every C64 game we've played this week, it's still a challenge to beat.